Browse > Home / Mission Moonbear project, MOONBEARS / Moonbear Matilda thanks her fundraiser helpers!!! Moonbear Matilda thanks her fundraiser helpers!!! Above image shows how far the bears were away from where we were standing on the platform. This was new since my 2006 visit and I could have stayed up there for hours observing the bears and their behaviors and antics. What a feeling it must be to have this freedom!!! Matilda just melts me and I know she will melt you too!!!! Matilda and Bottom just hanging out and being FREE. It’s hard to imagine any of these bears, now rescued, in such beautiful coat weight and condition, having been squeezed into body sized coffin style cages, with no freedom, very little nourishment, sick with infection…. mentally and socially deprived as well. 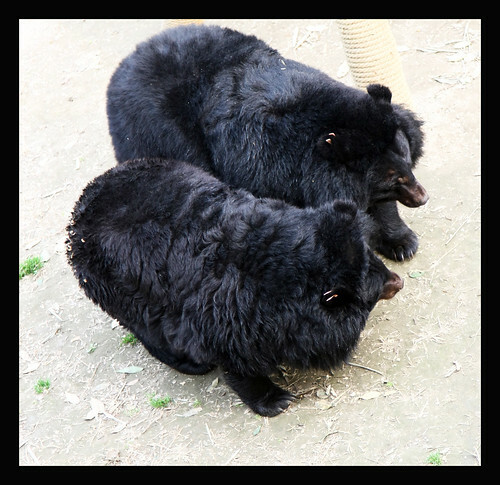 The trust and lack of fear so many of these bears exhibit are testaments to the constant and loving care which the AAF staff and volunteers provide the moonbears in their charge 24/7. The resiliency of the rescued bile farm bears dumbfounds me!! Animals Asia keeps this pile of crush cages which they rescued the bile farm bears from as a grim reminder of the past for those bears but also a reminder of the new and better life for those who are now free. 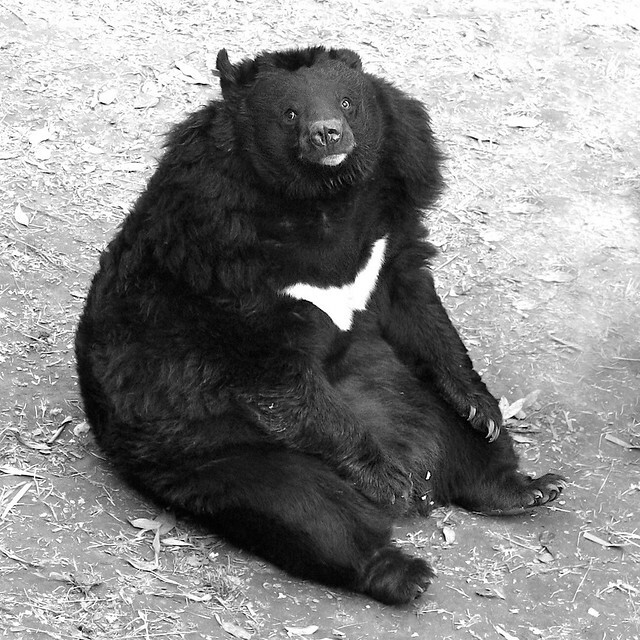 Some unfortunate moonbears never had the chance to live long following their rescue due to the horrendous condition they were found in…….. but they are also no longer suffering which is a blessing. SO THANK YOU ONE AN ALL FOR YOUR PARTICIPATION IN THIS FUNDRAISER!!! I hope you all are enjoying your pendants and wear them often!! 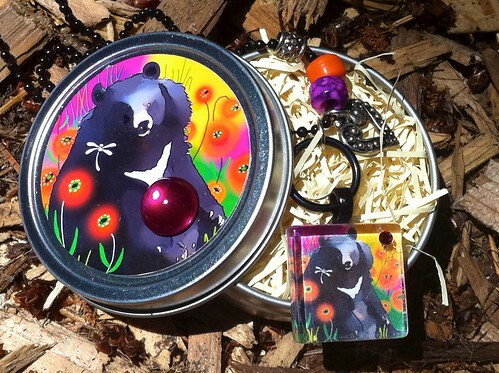 Every person who asks, “what is on your pendant” opens the door for you all to spread the word about the incredible work Animals Asia Foundation does for the moonbears!!! IN A PERFECT WORLD pendant peeps are below! MY NEW BOOK BLINDSPOT IS ON THE SHELVES! !